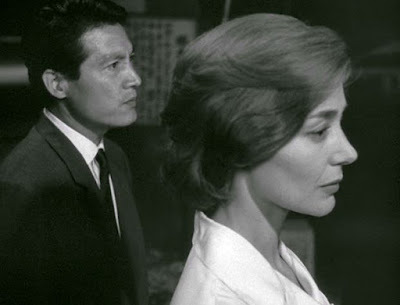 After establishing himself as an inventive and artistic documentary filmmaker, Alain Resnais made his first dramatic feature in 1959 with Hiroshima Mon Amour. It was an immediate sensation, winning the International Critics’ Prize at the 1959 Cannes Film Festival, and to this day it continues to stand as a must-see work for anyone interested in the possibilities of cinematic expression. 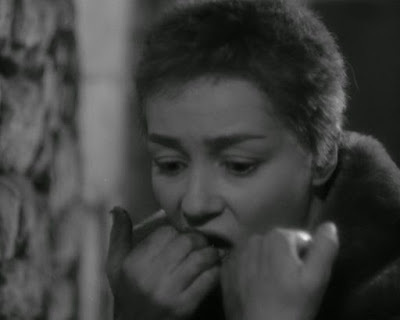 The film appeared at the onset of, and is sometimes loosely associated with, the French New Wave (Nouvelle Vague), although Resnais did not identify himself with that movement. Despite the film’s popularity with the critics [1,2], however, it was and remains controversial on several levels. For one thing, how could one make a film that relates to the atomic bombings of Hiroshima (and Nagasaki) that would encompass the full horror and suffering of the event? And additionally, there were questions concerning what was the ultimate subject matter of the film and whether it reached any meaningful resolution. Resnais was originally commissioned to make this film as another documentary in the fashion of his famous Night and Fog (Nuit et Brouillard, 1955), which was about the Nazi concentration camps. But after thinking about his subject, Resnais felt that he couldn’t do justice to the topic in that fashion, and he declined the offer. However, the producers already had French-Japanese co-funding lined up and encouraged Resnais to reconsider and expand the topic with the cooperation of a French fiction writer. Eventually he hooked up with the distinguished novelist Marguerite Duras, who scripted the film with Resnais and who fashioned its famous dialogue. The story of the film concerns a brief love affair – not much more than a one-night stand, really – between a French woman and a Japanese man during the woman’s visit to Hiroshima. She is there to act in a film about the Hiroshima bombing, and she has met the man casually just before the end of the location-shooting of her film production. What Hiroshima Mon Amour goes on to present is essentially an extended conversation between these two people; but the conversation is enlivened visually by showing stream-of-consciousness images from the perspective of the French woman (the focalization of the film is entirely on her). The conversation they have touches on, in a natural manner, a number of profound themes, including love, memory, forgetting, historical reality, and time, itself. In fact, before going further, I would remind the reader that the nature of time and narrative are inextricably linked, as Paul Ricoeur pointed out. He argued that narrative lies at the very root of our understanding of time . At its primordial level, time is not a succession of instants – that notion is only an abstract, theoretical construct. Time, fundamentally, is understood through the narratives we construct about ourselves and the world around us with which we interact. For his part, Resnais seems to be operating almost at the pre-narrative level – how shards of experience keep reappearing in our consciousness and how we may try to suppress them or hold onto them, depending on whether they are deemed to be parts of narratives that we want to retain about ourselves. Type 1 is associated with an exterior focus, and types 2, 3, and 4 are associated with an interior focus. These fragments are accompanied by nondiegetic music that has its role to play. This music, most of which was composed by Giovanni Fusco, varies from dolorous or contemplative to perky in order to reflect changes in mood and concentration. Although many people praise the musical score, I found it mostly a distraction and a weakness to the film. Your mileage on this score may vary according to tastes. On a thematic level, I would say that the film has four phases to it. Since the woman and the man are never named, I will sometimes refer to them here as FW (French woman) and JM (Japanese man) . The film opens, memorably. with the couple naked in bed, while the woman talks about having four times visited the atomic bombing museum in Hiroshima. The psychological subjectivity of the images is evident when we sometimes see the couple doused with nuclear ash – a visual importation of images from the bombing victims shown in the museum. Although the film’s focalization is always on FW, the focus in this section of the film is on FW’s interior. What she saw (and thus the images that the viewer sees) are not “objectively” what happened, but instead dramatic recreations of the bombing presented in the museum. Nevertheless, the viewer sees FW, from an interior perspective, trying to grasp what objectively happened in Hiroshima in 1945. She expresses horror at what she saw – how surviving women would wake in the morning and find all their hair had fallen out. But the man soothingly tells her, in his broken French, that she saw nothing. Whenever she says, “I saw X” (where X concerns something specific that she saw), he responds with, “No, you didn’t see X”. She knows that, as a tourist, she probably has no right to tell a Japanese person her thoughts on these things. This is the historical reality that she doesn’t want the “world” to forget. We anchor our own memories on events that are taken to be objective facts. But sometimes the world doesn’t have a common understanding of some world-famous events. It is worth pausing and reflecting on this for a minute in light of our present circumstances in the world today. The American people are currently traumatized by acts of terrorism, particularly the 911 World Trade Center atrocity. But they are reluctant to concede that the American government actually perpetrated perhaps the most villainous single terrorist act  – for the Hiroshima and Nagasaki bombings were intended to terrorize an entire people. Many people today (even some in Japan) prefer to believe that the atomic bombings precipitated the end of the Pacific War and therefore saved lives. There is considerable evidence, however, to say that such wishful thinking is not true [6,7,8]. 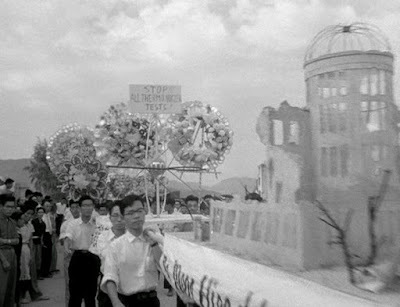 The Japanese were about to surrender, and the Hiroshima and Nagasaki sights were not integral to the Japanese war effort. Those bombings were meant, and only served, to terrorize a civiliain population. FW, back in 1959, did not want the world to forget Hiroshima and what really happened there. 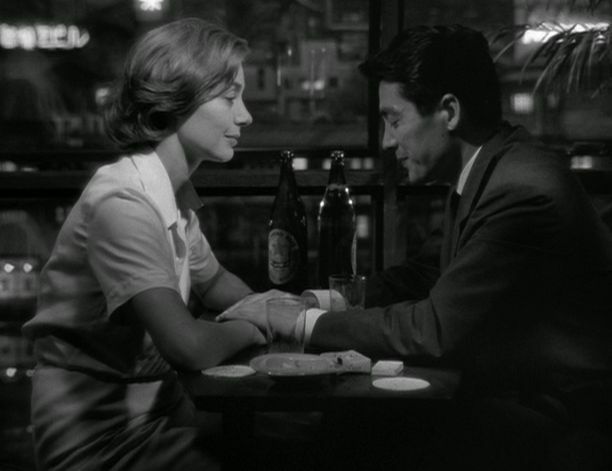 This part of Hiroshima Mon Amour, just by itself, is worth holding on to in an era when people seem unmindful of what happened then and could happen again. With the lovers still in bed, the focus turns to the lovers, themselves. For the most part, the focus is more external and objective in this section, although there are occasional brief images reflecting FW’s memories of past events (which will be explained later in the film’s third section). "How could I know this city was tailor-made for love? How could I know you fit my body like a glove? I like you. How unlikely. You’re destroying me. You’re good for me. Devour me. Deform me to the point of ugliness." But in the light of day, FW becomes more aware of her mundane responsibilities. She shocks JM by announcing to him that her plans are to return to France the next morning. He wants to continue their relationship, but she doesn’t. Departing in a taxi for her film shoot, she tells him that she is a married woman with children and that she just regards their tryst as a nice fling. JM wants to pursue the relationship, however, and tracks her down at the film-shooting location. After finishing her filming responsibilities, FW agrees to accompany JM to his home, where she learns that he, too, is married, though his wife is away at the moment. Soon they are in bed again, but JM wants to know more about the woman he has come to love. He suspects that an offhand remark she earlier made about her hometown of Nevers, France, points to something crucial, and he urges her to tell him more. Now the mise-en-scene returns to the interior focus on FW. Gradually, tearfully, she tells him about the traumatic event of her past – her secret teenage love affair with a German soldier in occupied France. They had numerous secret, romantic trysts, but on the eve of the liberation, her lover was killed. FW’s intense grief exposed her as a traitor, and she had her head shaved in public to highlight her shame. Her family kept her locked in a cold cellar for months, and the sobbing girl was abandoned in her dungeon and assumed to be mad. Time passed, she was finally released from the cellar, and she made her way alone to Paris just before the Hiroshima bombing. Mutually realizing that they will probably never see each other again, she tells him to leave her, and he walks away. At this point, we might expect the film to end here. But it doesn’t, and this is where the film loses some viewers. The remaining one-quarter of the film (22 minutes) tracks FW’s struggle with herself. She has finally met a man who could open her up, and she doesn’t know what to do. At one point she promises to herself that she will stay in Hiroshima and be with him every night. But then she realizes this would be impossible. JM comes to her again – he cannot forget her, either – and they go walking on the street. While walking silently ahead of him, FW imagines a mini-narrative that fails to take place – that he will come up and grab her and kiss her and that she will surrender to him. Contradictory thoughts and images are passing through her mind as she thinks about her old love and JM (she sometimes conflates the two). They look at each other in search of an answer. Starting from different perspectives, they have both arrived at, and labeled, their distinctive narrative understandings of love and compassion. With that the film ends. There are differences of opinion concerning what happens at the end. Some people believe she will stay with him in Hiroshima, while the majority believe she will part with him forever and return to France. What really matters, though, is whether the overall narrative has reached some resolution. Some people might say, in fact, that with respect to this narrative, FW has made no real progress at all. She is still agonizing about the erosion of her memory, and now she simply has another fresh memory of importance that will also fade away like all the others. But I would disagree with that judgement. The experience she has had in Hiroshima – the unavoidable confrontation with the great suffering that that bombing event caused – has opened her up again. Feeling the unbearable pain associated with that historical event, has reconnected her to the depths of her feelings – including the unbearable pain of another event from her own past and also the wonders of giving herself to another soul. And opening up empathically, means being alive again, being herself again, being able to love deeply again. Andrew Sarris, “Movie Journal” (review of “Hiroshima Mon Amour”), The Village Voice (24 November 1960), part 1 & part 2. 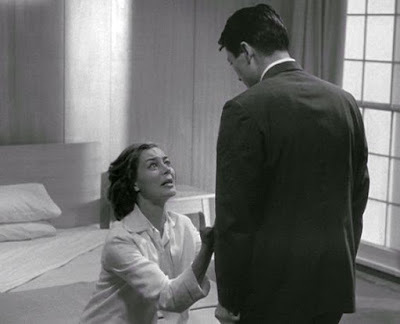 Acquarello, “Hiroshima Mon Amour, 1959” Strictly Film School, (2000). Paul Ricoeur, Time and Narrative, volumes 1, 2, and 3, (1984, 1985, 1988), The University of Chicago Press, Chicago. They are often referred to in other quarters as “Elle” (She) and “Lui” (He), but I think this can get unnecessarily confusing. 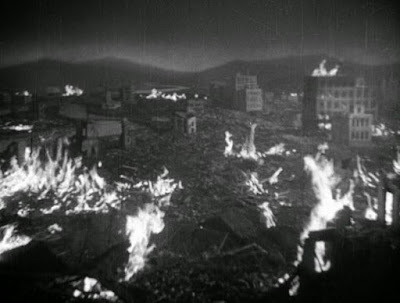 The 1945 fire-bombings of Tokyo and other parts of Japan (not to mention the WWII firebombing in Europe) were collectively just as lethal, but they were more than a “single act”. Gareth Cook, “Why Did Japan Surrender?”, Bostom.com, (7 August 2011). Ward Wilson, “Rethinking Nuclear Weapons”, (2015). Ward Wilson, Five Myths About Nuclear Weapons, Mariner Books, (2014).